It’s the most wonderful time of the year….the Trashy Diva 50% off sale items sale! If you’re new to Trashy Diva or just want to pick up some of the lovely dresses you passed by over the past year or so, this is a great time to do it. 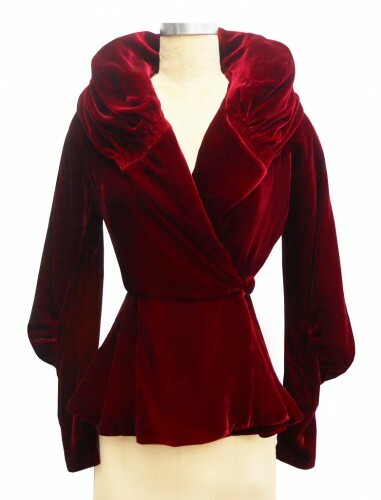 Dresses go as low as $40, with silk velvet pieces coming in around $85. There’s lots of great stuff leftover, so today I thought I’d give you a quick guide to the best full bust friendly pieces in the sale. Be quick, as things tend to go insanely fast. These are all items that I’ve either tried on or own, so I’ll give out some fit tips as well. I bought this previously in the sale and I absolutely adore it. 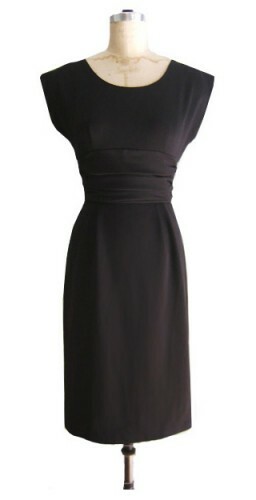 It takes a plain black dress from basic to showstopper in about 10 seconds. I fit a large, so it’s cut generously at the bust (although plan on doing some wiggling into it to have it fall properly). There are a bunch of these left in various colors, which is great as I own several and wear them all. They make great summer staples, so pick up two in your favorite colors. That said, this black and white version is my absolute favorite. This was one of my sale purchases that I tried on recently. 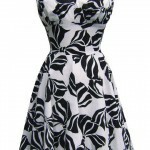 It’s adorable, easy to wear and the waistband is gorgeous. You may have to experiment a bit to find the right bra to wear with it (or just tack the neckline a bit) but you definitely shouldn’t skip it. This dress is basically the Jayne with sleeves and a collar, which makes it worth stocking up on (see more about why I love the Jayne dress so much further down on the list). These are super flattering, create an instant hourglass and are a great weight for winter. I live in these knits when it gets cooler. 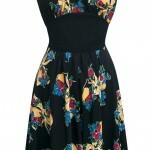 While most of the knits are stretchy, these dresses and the Jayne have serious waistbands built in. Size down in the other knits, but go for your regular size in this one. This dress was designed for swing dancers, so it doesn’t have the super tailored silhouette that some of the Trashy Diva pieces do. I eventually chose the Constance over this one, but it was a tough decision. The Jitterbug is super comfortable and easy to wear, so it’s great if you want something a little less restrictive. These are back in the sale and they’re perfect for pretty much everything. Wear them with a tank underneath for extra warmth and swap out your belts and shoes for different looks. This fabric has tons of stretch, so most people go down a size from their regular one. I grabbed this dress awhile back to have one true gown in my wardrobe, but I also know people who wear it as a hot weather maxi dress or to work with a sweater. 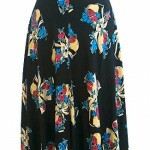 The skirt is very long, so if you don’t want to wear super high heels with it you’ll probably have to get it taken up. The bust area isn’t perfect on me, but a black bra underneath makes that nearly invisible. 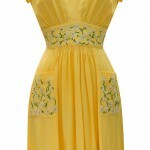 If you missed the Maria dress in yellow, definitely try to grab this one. 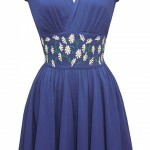 It’s the same cut as the Ashley dress and has a perfectly authentic 1940’s look to it. This is the ultimate black dress if you’re full busted. It creates a truly amazing hourglass while giving you room to breathe and goes literally anywhere, from a funeral to the office to a hot date. It’s one of the pieces that gets the most wear in my wardrobe and I truly hope they’ll release this shape in other colors – I’d buy them all. Go with your regular size in this as the waistband is reinforced for shape – you’ll appreciate it once you get into it, I promise. Which is your favorite? Will you be picking anything up in the sale? Don’t forget the code is SALEONSALEJULY – use it well!